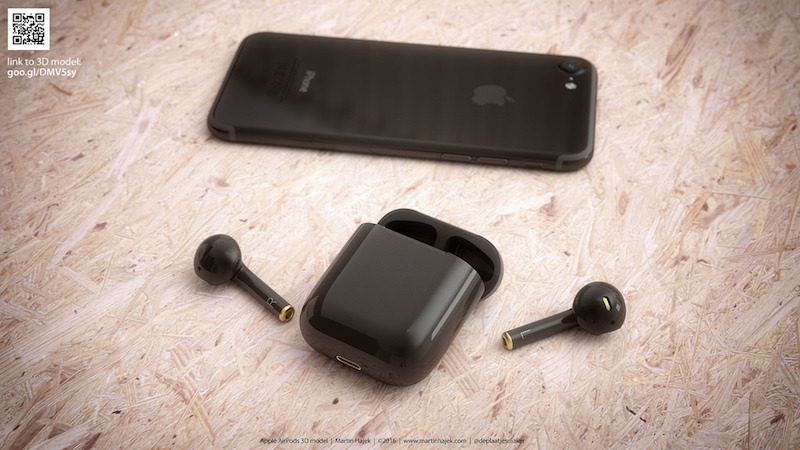 Inspired by Apple’s new Jet Black color for the iPhone 7 and iPhone 7 Plus, designer Martin Hajek recently created a few mockups of what the company’s all-new wireless AirPods could look like if the accessories had a similar dark color option. 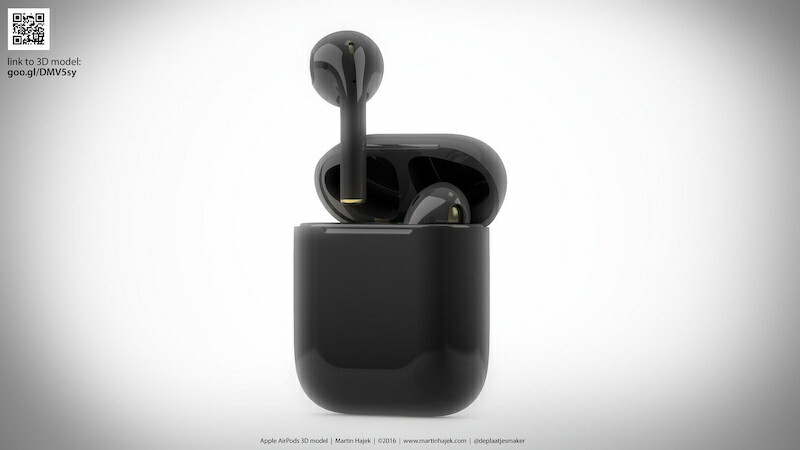 In his blog post, Hajek said he “modeled these earphones and rendered them in brand-new iPhone gloss black,” making them visually identical to the new, shiny finish of the iPhone 7 in Jet Black. 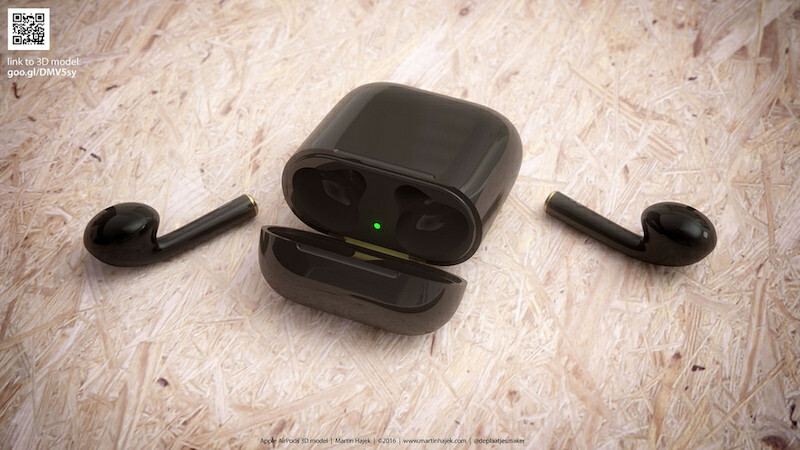 Although most hardware announced at Apple’s September 7 event is debuting later this week, on September 16, the AirPods still have an unspecified launch in “late October.” If you want to check out more of Hajek’s renderings of the Jet Black AirPods, visit the designer’s website. 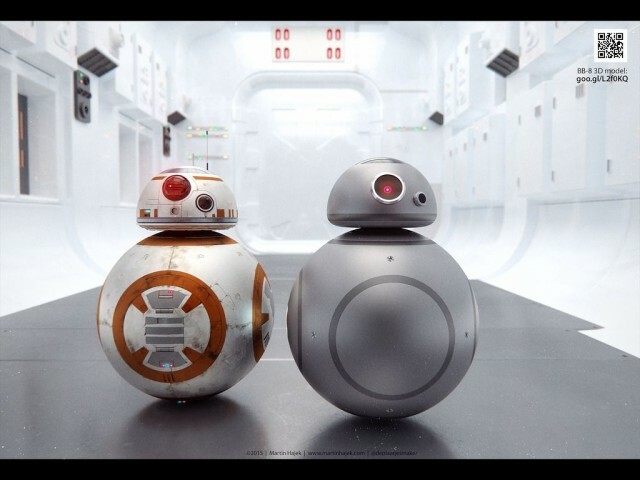 With its roly-poly looks and infectious personality, new droid BB-8 looks primed to be a real scene-stealer when Star Wars: The Force Awakens hits theaters at the end of the year. 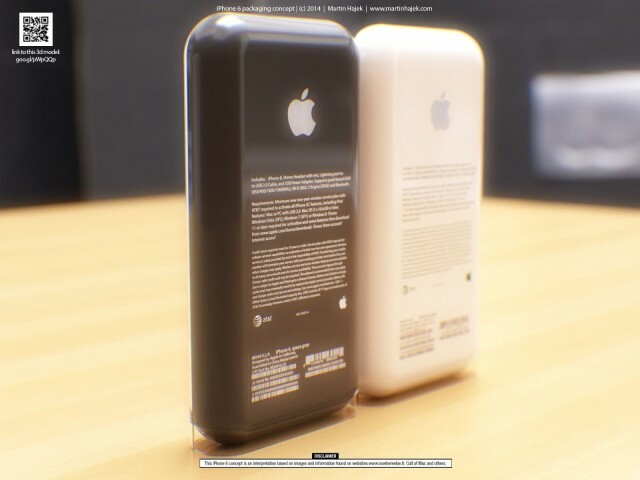 And now we know what the ballsy little bot would look like if Jony Ive replaced its orange-and-white color scheme with something a little more subtle. 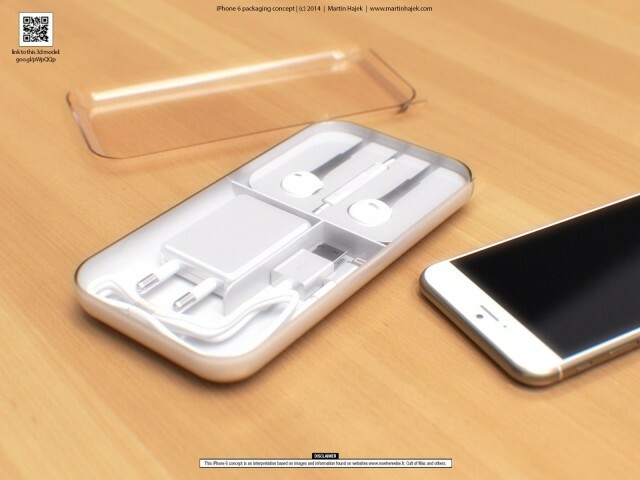 The iDroid concept art comes from forward-looking designer Martin Hajek, who has produced tons of Apple-inspired concept art in the past (including an Apple-ized lightsaber). 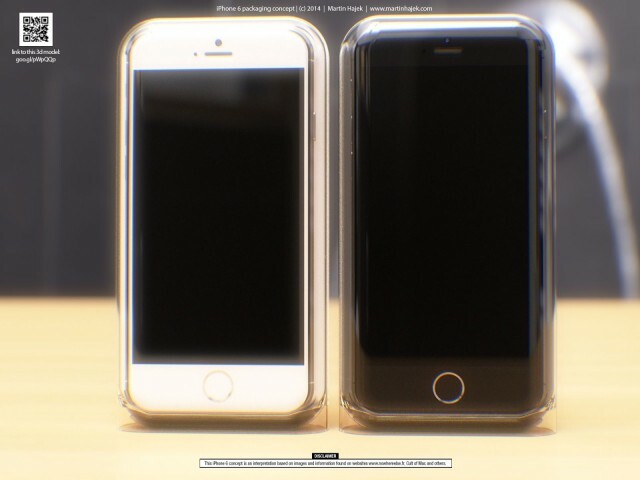 With built in projector and circular touch-screen interface, it will be available in silver, gold and (of course) space-grey! Want to have a go at designing your own droid? 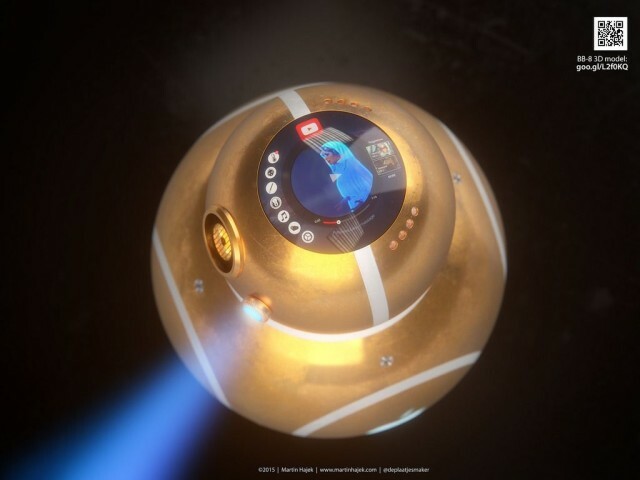 You can download the super-detailed 3D model of the BB-8. While director J.J. Abrams’ Star Wars: The Force Awakens won’t premiere till December 18, the movie’s lovable new droid is already a fan favorite. There’s even a DIY project for making your own iPhone-controlled BB-8 model. 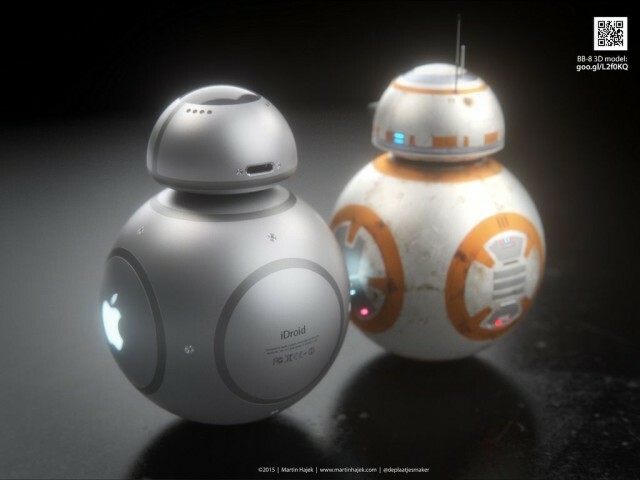 Now Hajek has shown how Apple design chief Jony Ive’s stylistic influences — which really did help shape The Force Awakens’ spitty new lightsaber — might look on sci-fi’s peppiest new droid. As usual, Hajek makes his 3-D model available (for a price). So, if you were in the market to buy a used BB-8 from some nasty little Jawas, which model would you get? Old-school orange-and-white? 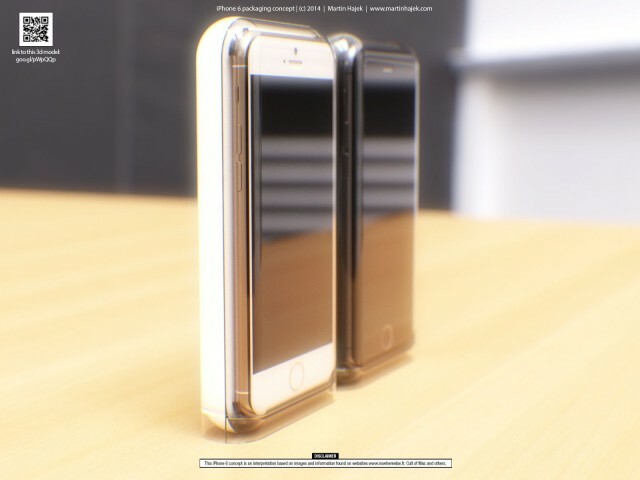 Or Apple-tastic silver, gold or space gray? 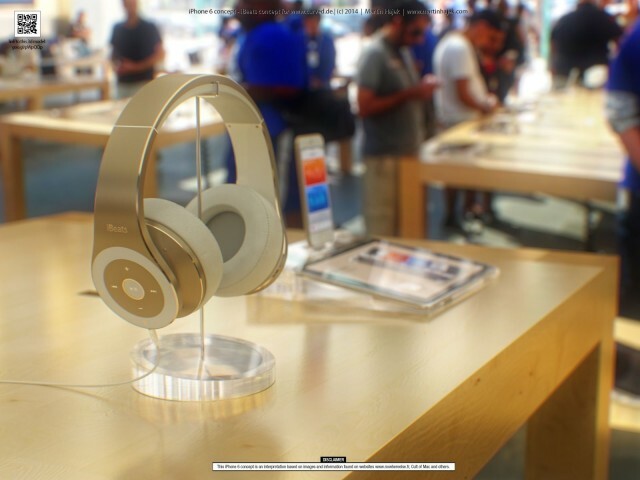 Can’t wait to buy the Apple Watch? 3-D print one at home! Despite complaints that the Apple Watch is just too big to appeal to women and thinner-wristed men, the Cupertino’s upcoming wearable isn’t actually that big. In fact, it’s about the same size as a Rolex. 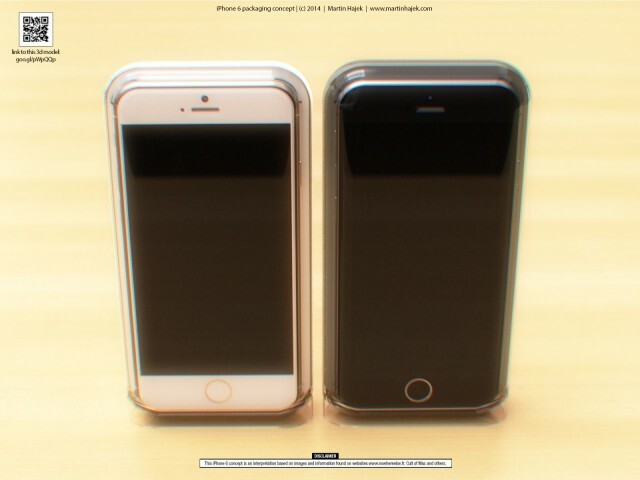 Still not convinced that the Apple Watch will look good on your wrist? Why not print one out and see how you look wearing it? 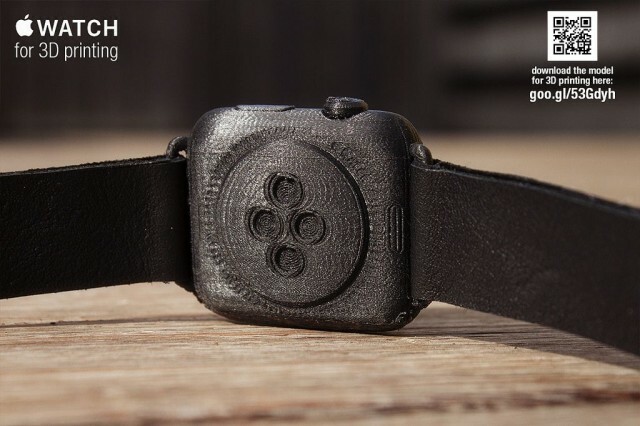 Courtesy of concept designer Martin Hajek, this Apple Watch model can be printed out on any 3-D printer and worn until the real thing lands in stores sometime next year. 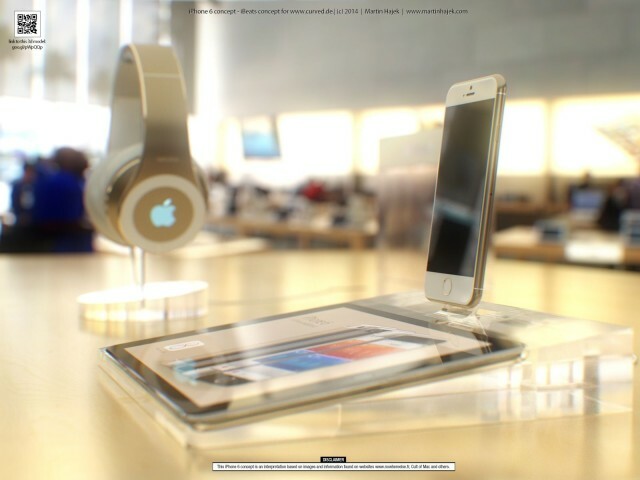 Supply your own leather band and paste a glossy sticker of the Apple Watch interface on the front, and you might even fool someone! 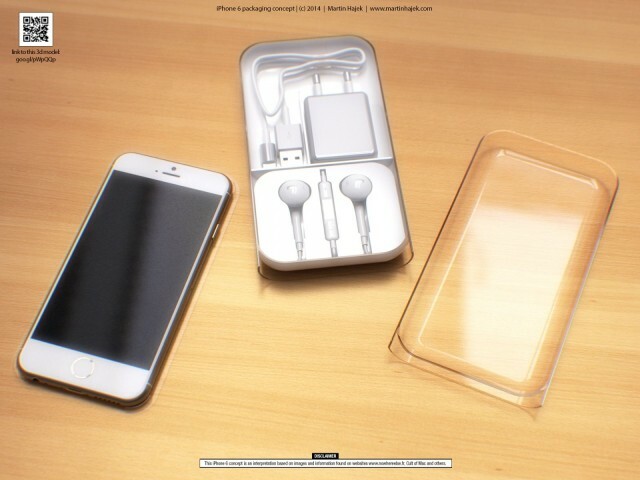 Beautiful renders of new iPhone 6 packaging make us drool. 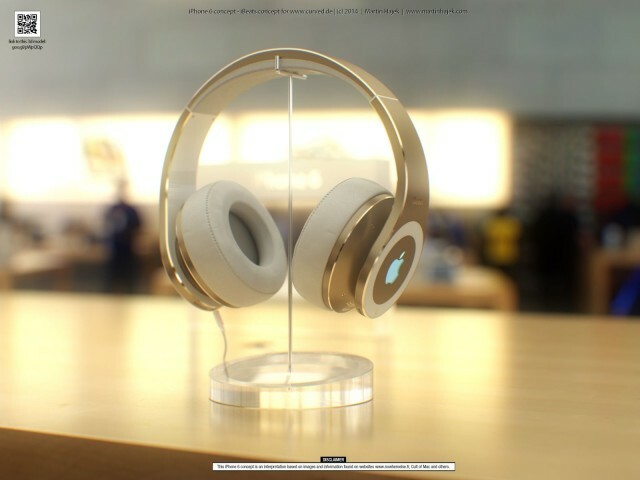 Martin Hajek usually puts his considerable 3-D rendering skills to the task of creating conceptual models of Apple’s upcoming hardware. 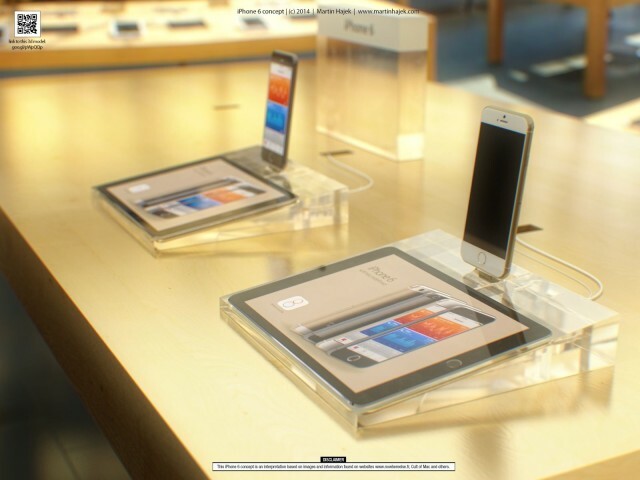 But after producing his highly-accurate rendering of the iPhone 6 last week, the Dutch artist has tried his hand at something a bit different: imagining a new kind of retail packaging for Apple’s next smartphone, as well as what the iPhone 6 will look like when it’s on display at your local Apple Store. 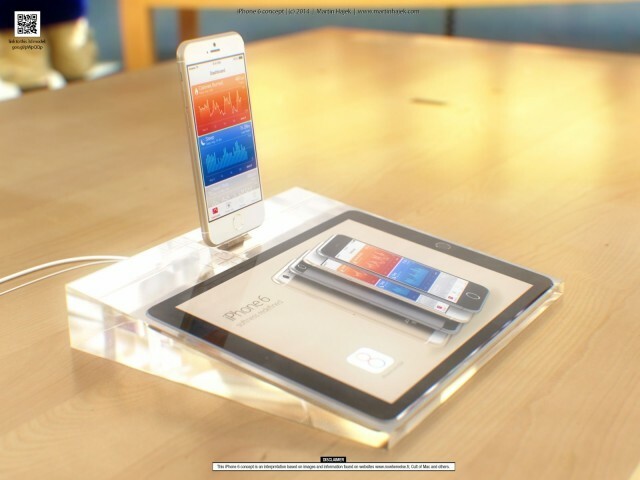 Instead of the cardboard boxes that current iPhones ship in, Hajek imagines the iPhone 6 selling in a tight, meticulously organized plastic box, similarly to the way Apple sells products like the iPod nano, the iPod touch, and the official Apple EarPods. 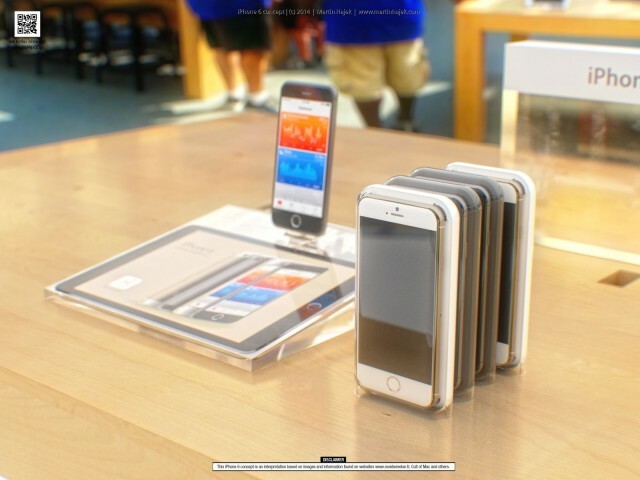 I actually really like this packaging design. 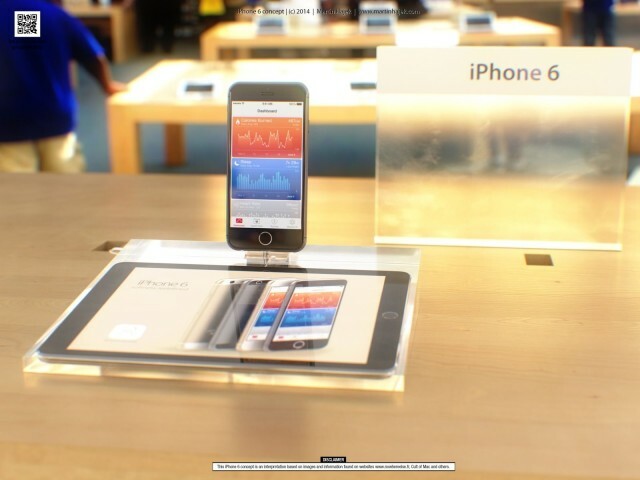 Not only does it allow the device to speak for itself, but it would be extraordinarily environmentally friendly, allowing more iPhones to be shipped to stores in less space. 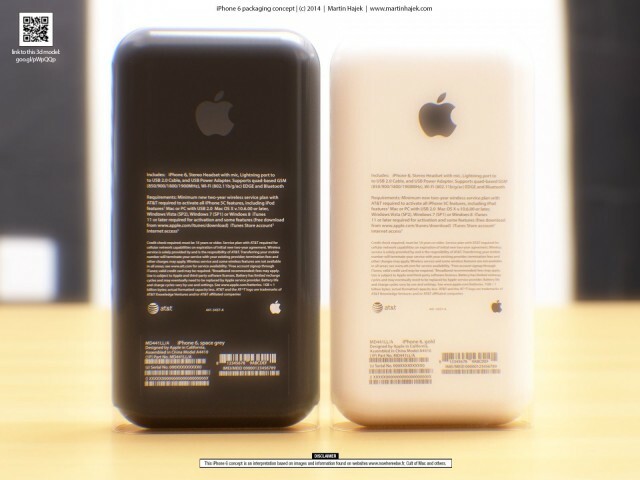 As for the plastic Apple uses for such boxes? It is so biodegradeable, it literally dissolves in water. 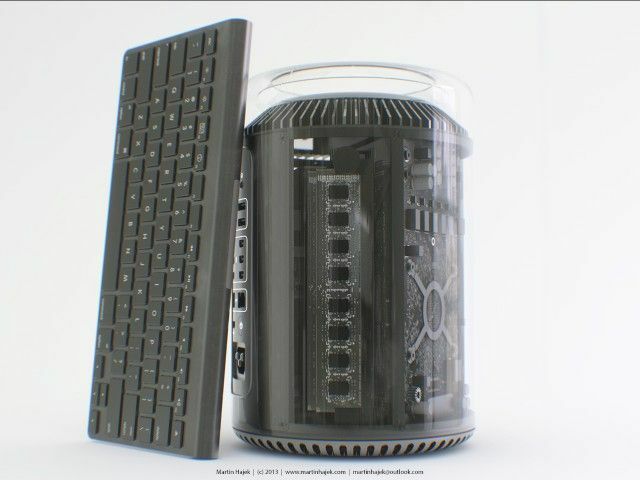 What The New Mac Pro Would Look Like With A Glass Case. 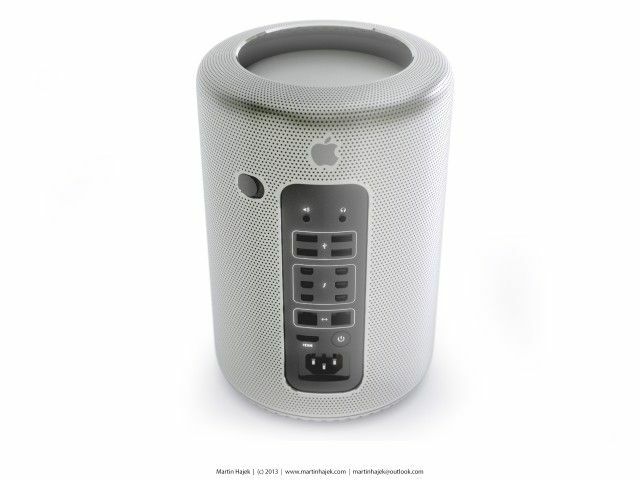 The new Mac Pro looks incredible. It’s simple, compact and elegant, yet packs enough horsepower to do some serious work. 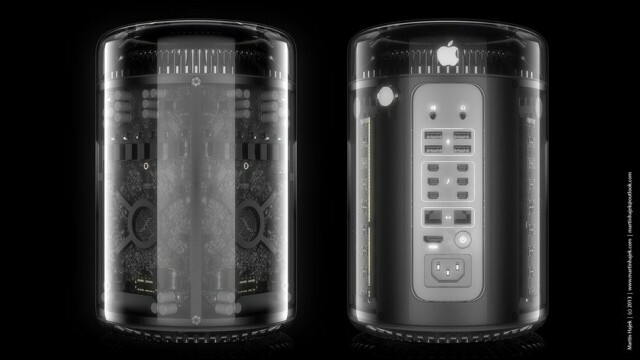 Even though we don’t know what its final price tag will be, there’s one addition that could definitely improve upon the design of the Mac Pro: glass. 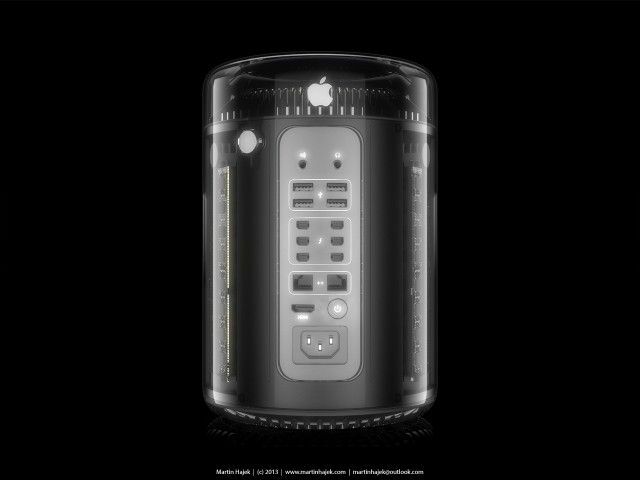 As Jesus Diaz at Gizmodo notes, a glass Mac Pro would probably look like crap after a few months thanks to the electronics attracting dust. 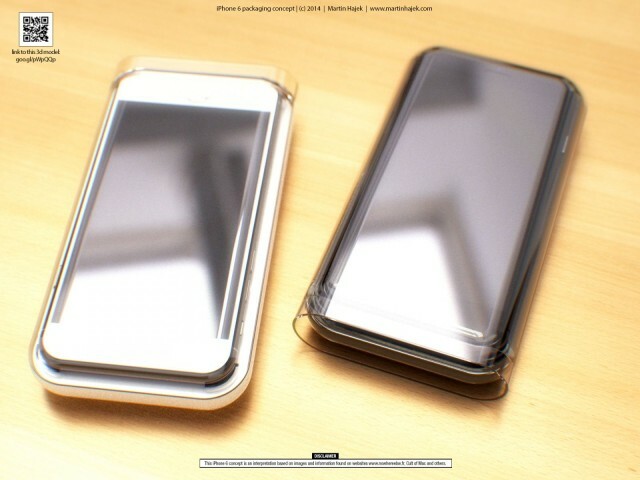 Plus, glass is an insulator, so it wouldn’t be a good material to use for the Mac Pro’s case unless Apple tweaked the glass to better conduct heat. 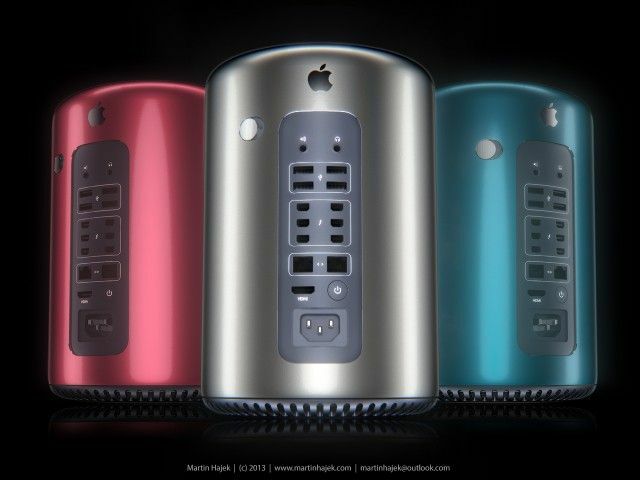 Still, the glass Mac Pro would look pretty rad for at least a few months. 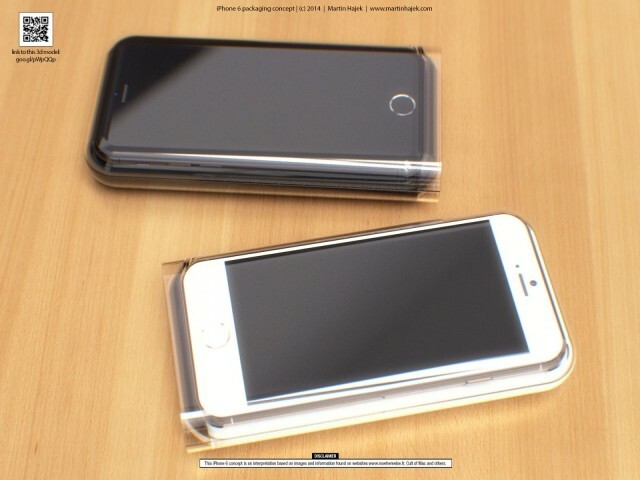 Don’t like the glass look? 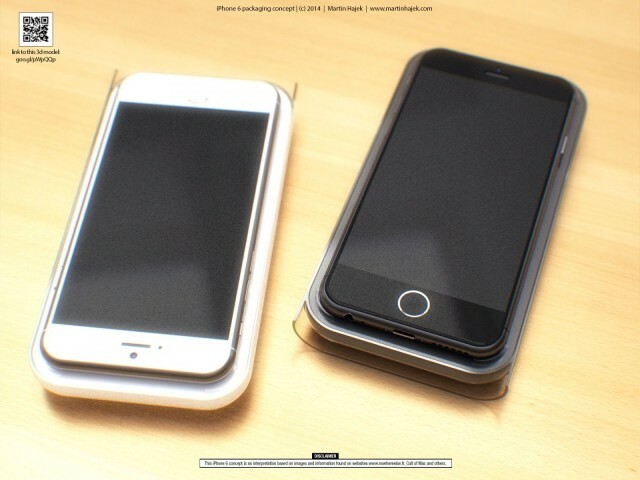 Martin also created a few other mockups using classic Apple finishes.